Racing Service H.D.O. is a tuning shop out of Fukuyama city in Hiroshima prefecture and is probably most well known for their D1GP Starlet that was driven by Iwai. They were also involved in Iwai’s rotary-powered Roadster build (along with Make Hirota). Back in the day (early 2000s) Itakura and Kitashiba from H.D.O. 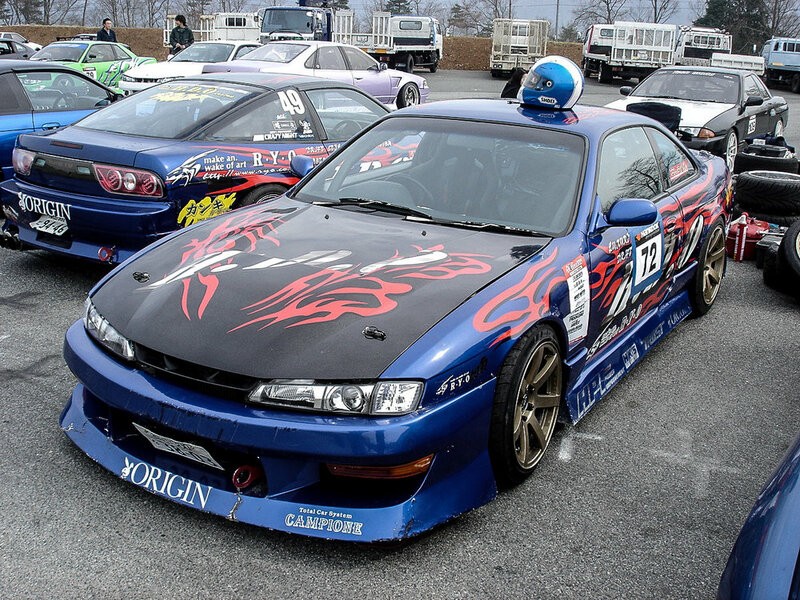 ran an S14 and 180SX in competitions around western Japan and regularly found themselves in the expert class finals. These days Kitashiba is driving an 800HP 2JZ powered GSE20 for Sunoco Goodyear Racing in D1GP. I’d venture to guess he had more fun in his 350HP SR20 powered 180SX at Bihoku and Hiroshima Speedway. For me his 180SX will be one of the most iconic with the bright blue paint and in-your-face, aggressive graphics. You can’t go wrong with Origin aero and silver carbon hood. The RYO LED tails were pretty wild, but I always dug them. I’m not sure if Itakura is active in D1GP now, but you may remember the SR20DET powered RA28 Celica he competed in a few years ago. His S14 matched the 180SX in the paint and vinyl department and also ran full Origin aero. Considering the picture above I don’t think you’d be surprised to hear that he was an extremely aggressive driver. 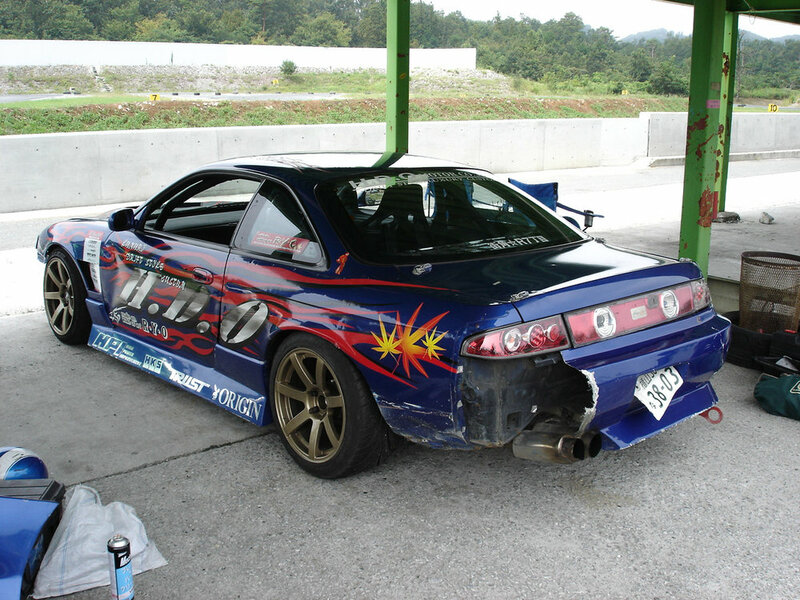 Exploding aero was a common occurrence and seeing a full, not cracked Origin kit on his S14 was a rare occasion. I’ll always love these cars and builds like them. In the end they’re uncomplicated. Both cars are running stock blocks making ~350HP, coilovers and a handful of suspension arms, 2-way LSD, full aero and some cool vinyl. They both had cut/weld knuckles for more angle, but that’s about it.